a full 360˚ pano from a spot overlooking the Bow River valley. Just to right of centre is Canada Olympic Park, with the white tents of Cavalia visible beside it. Back riding my own bike after getting it back from the shop, and riding less often as I’d like because of a week of solid rain. 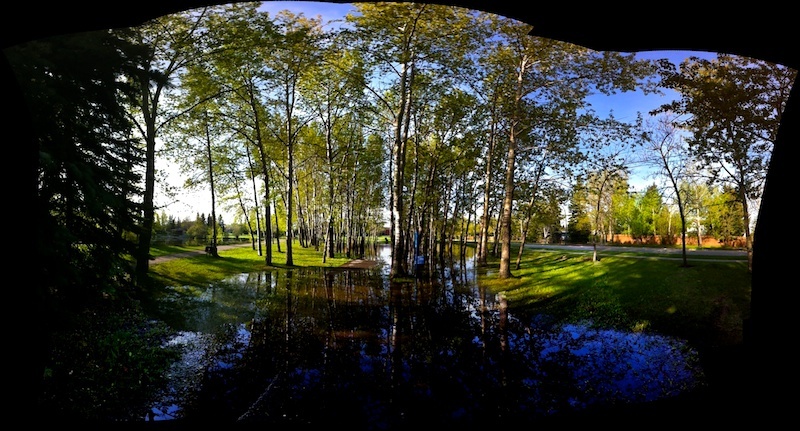 One of the pathways near the duck pond was flooded during the recent rain. the ducks have moved in, and were happily swimming among the trees.